Flowers are one of the most magnificent natural beauties of the earth. They can be nothing more elegant and peaceful than flowers on this planet. For ages, this gift of nature has helped us express feelings and emotions. 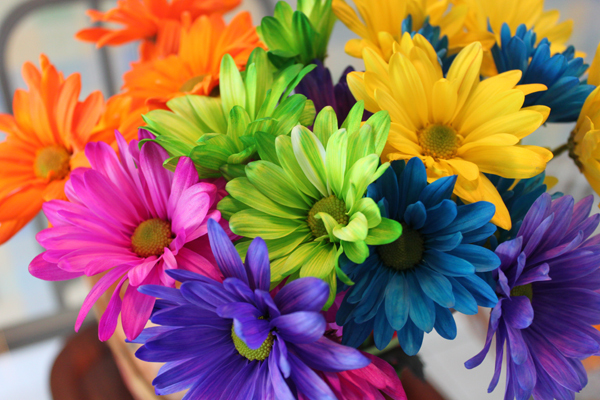 A mere look at these brilliantly colored flowers lifts our spirits and brings a smile on our face. Flowers are also one of the most preferred gifts for the loved ones. They are perfect for several kinds of occasions like Mothers’ day, wedding, Valentine ’s Day and even graduation day. Each flower carries a meaning with itself. Some species of flowers are also used to make beauty products and medicines. This article covers some of the most beautiful flowers found in the world. Let’s start the list with the most beautiful flower in the world- rose. Even after generations pass, rose will remain the prettiest flower in the world. Rose is synonymous with love and beauty, and no other flower can replace it. Rose is a very popular gift exchanged during the Valentine’s Day. It is also a popular choice in parties, dates, anniversaries and wedding. There is seriously no better gift than a bouquet of rose. 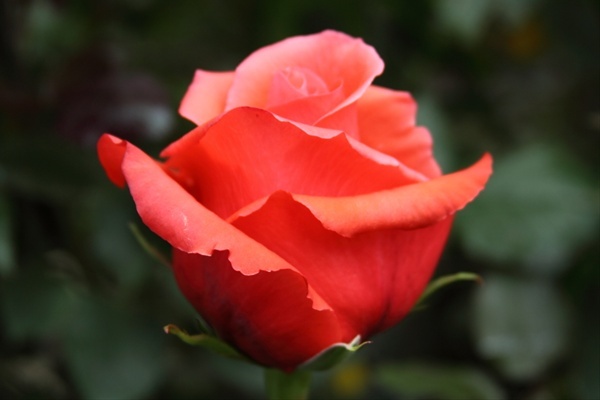 Rose has around 2830 species and is found in varying shades like red, white, yellow, pink, red, green, orange and black. This perennial shrub belongs to the genus “Rosa”. Each shade of rose carries a meaning with itself. Did you know that roses are also used in making jams, flavoring drinks, jellies, and marmalade, primarily due to the high content of vitamin C? 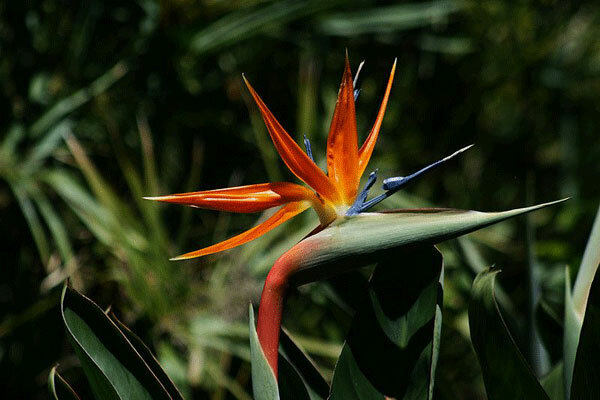 The second most beautiful and unusual flower in the list is the Bird of Paradise. This exotic flower resembles a bird in flight, hence the name Bird of Paradise. This vibrantly colored flavor has no fragrance at all. The Bird of Paradise belongs to Strelitiaceae family and is native to South Africa. The flower blooms from September to May. These flowers make attractive landscape plants. I am sure you all must have set the picture of this beautiful flower once as your desktop wallpaper. Tulip belongs to the “Liliaceae” family and has around 109 species. It is the most cultivated flower and is found everywhere, especially in the mountains. 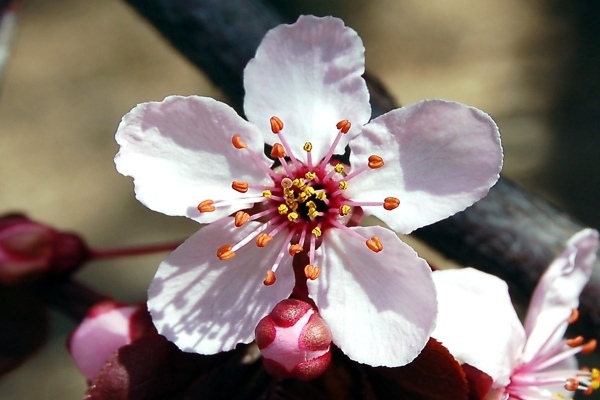 The flower is native to the Netherlands and was first commercialized in the Ottoman Empire. 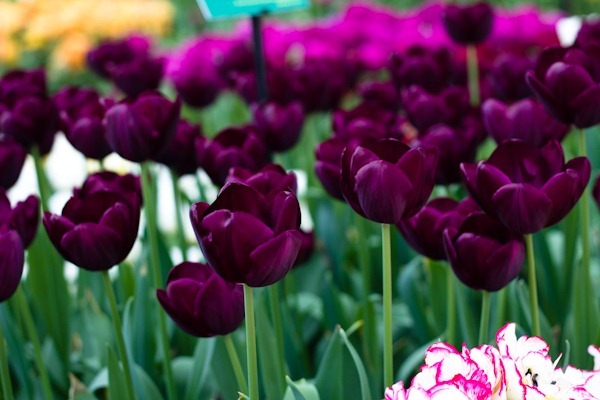 The hybrids of tulip are seen in the garden as cut flower or potted plants. This gorgeous flower comes in several colors and sizes. Tulips can reach a height of 4 to 28 inches. Orchid is clearly the most beautiful flower you can ever lay your eyes on. 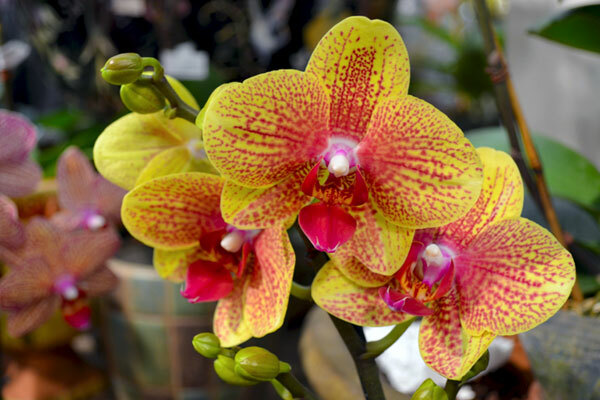 The beautifully crafted petals and lively colors of the orchids have made it a favorite of almost every flower lover in the world. The name orchid is derived from the Greek legend “Orchis (son of the elf)”. There are over 2300 species of orchids under 800 genera. The plant adapts to its environment easily, thus is available almost everywhere in the world. Some orchids have 30 inch petals and weigh about a ton. The flower can be grown in containers and hanging baskets from summer to spring. Cherry blossom is one of the most beautiful flowers you will come across. These spectacular blooms are found widely in Japan. They bloom during the spring season in white and light pink colors. This flower looks much better in trees than in a vase and makes a beautiful sight even after falling on the ground. The flower is said to be native to the Himalayas, but is widely distributed all across the world, especially Europe, South Korea, China, Japan and the United States. It symbolizes clouds due to their nature of blooming in masses. Since the article is about the most beautiful flower, Dahlia just cannot be missed. Dahlia is a flower native to Central America, Mexico, and Columbia. It is also the national flower of Mexico. They are borne on bushy, tuberous, perennial plants. Dahlia is said to be named after the botanist Anders Dahl. 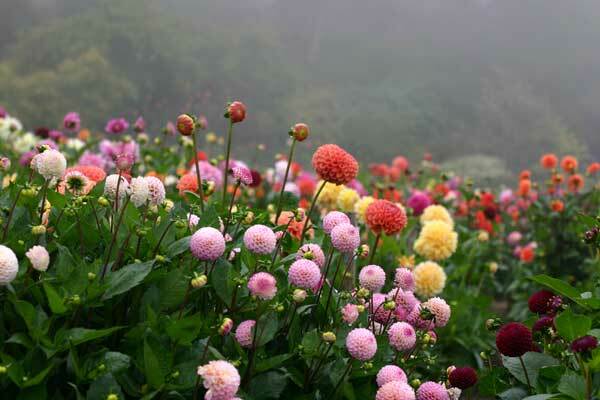 There are more than 30 species of dahlia and 20,000 cultivars. Dahlia is a large flower with a diameter ranging from 12-inch-30cm to 6inch-8 ft. They are found in all the shades, except blue. The flower has a floral head surrounded by several delicate petals. 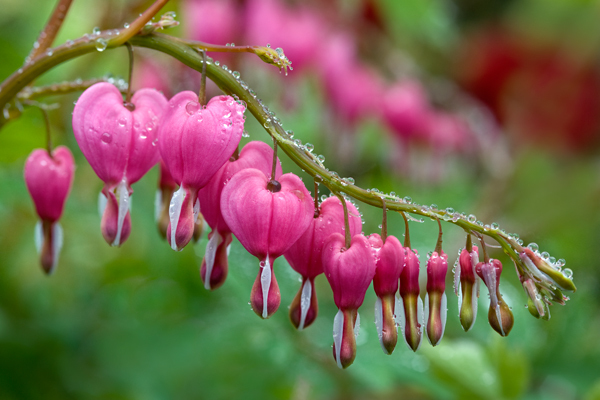 Bleeding hearts are heart shaped flowers borne on arching stems of the plants. These awesome blossoms are a favorite in shady gardens. Bleeding Heart is found in shades like red, white or pink with attractive bluish green foliage. They appear every year from April-June. If you are thinking of growing bedding heart, plant them in partial to full shade in moist and well-drained soil. 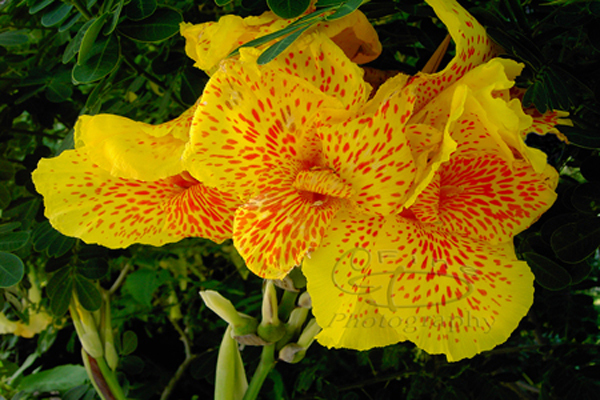 The double shade and interesting pattern of canna flowers make this flower pleasing to look at. The flower not just features pretty blossoms, but also beautiful leaves. Canna is a genus of 19 species of flowering plants. Canna has been popular since the Victorian times. If you have a garden, then you should consider planting canna. It will make a beautiful sight to the onlookers. Plumeria is one of the sweetest smelling flowers. You would want to smell it repeatedly due to its mesmerizing scent. 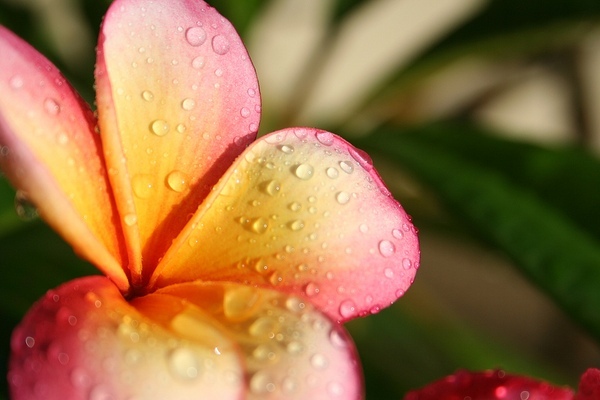 Plumeria is a medium sized flower and comes in a wide variety of colors like red, pink, yellow, white and orange. It is fondly called Frangipani. The flower is native to Brazil, Central America, and the Caribbean islands. It can grow in tropical and sub-tropical climates. If watered excessively, the root may get rot, and lack of water can dry it easily. Therefore, you need to handle it carefully. The flower has four species- Plumeria Alba, Plumeria pudica, Plumeria obtuse and Plumeria Rubra. Plumeria Alba is the sweetest smelling species of Plumeria. The flower is also edible and is used in making natural laxatives. These red and pink miniatures have surely won the heart of many people. These small wonders are native to Southern Europe and a few Asian regions. Dianthus has over 300 species. 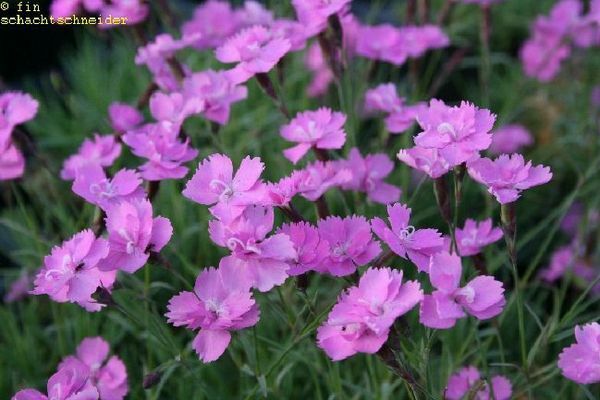 The word “Dianthus” comes from 2 Greek words- Dios (means god) and Anthos (means flower). The flower comes in colors like red, pink, purple and white. You cannot miss out on Magnolia while talking about the most beautiful flowers. Magnolia is named after a French botanist “Pierre Magnol”. 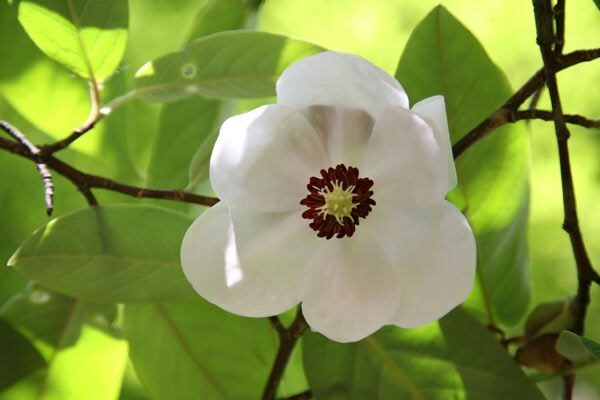 There are over 200 species of magnolia found in West Indies, Central America, North American, and Asia. They come in colors like pink, white and purple, with size ranging from 3 to 12 inches in diameter. Magnolia is a symbol of sweetness, femininity and beauty. Magnolia perfumes are very popular amongst women. 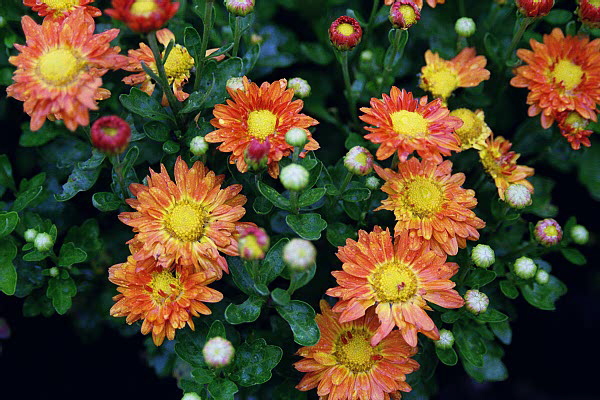 Chrysanthemum is named after Carolus Linnaeus, the father of modern taxonomy. The flower means ‘golden flower’ in Greek where “chrys” means golden and “anthemon” means flower. It belongs to the Asteraceae family and comes in several forms like buttons, pom-poms and even daisy like. They are found widely in Asian and Northeastern European countries. Yellow is the traditional color of Chrysanthemum, but you can also find them in other colors like red, white and purple. Chrysanthemum flowers are significant not only because of their beauty, but also because of the number of meanings associated with it. The flower symbolizes long life, fidelity, joy and optimism. Hydrangea is a unique cluster of little flowers per stem. It belongs to the genus of over 70 flowering plants and is native to America and Eastern Asia. It is borne on stems that grow 1 to 3 meters tall from spring to late autumn. 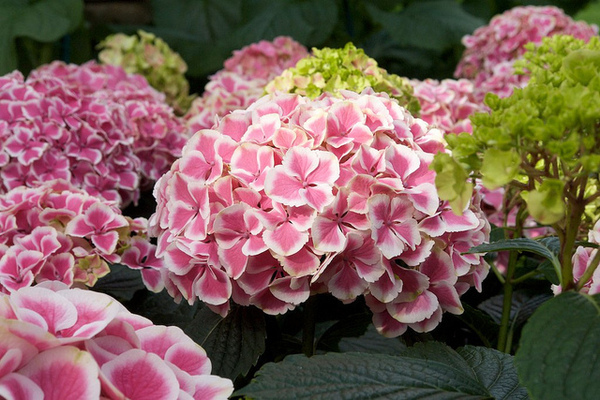 The flowers are usually white, but blue, pink; violet and light purple hydrangeas are also found. The two most commonly found species of hydrangea include mop head and lace cap. Lace cap hydrangeas are usually round while mop head hydrangeas have flat heads, subdued by glorious similitude. Hydrangeas are used in various occasions, especially wedding. Note- Hydrangeas droop and wilt easily, so bring it on the day of the event or the night before. 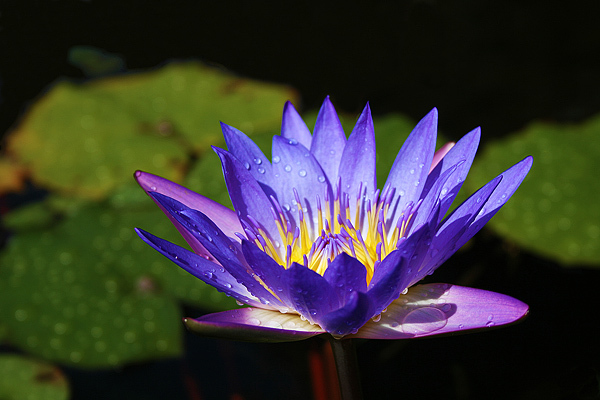 As the name implies, water lily is an aquatic plant with lily pads. Water lily is the national flower of Vietnam. They come in 3 varieties- Nelumbo and Nuphar Lutea and Nymphaeaceae. This gorgeous flower with floating mats of foliage lasts for around three days and then it is replaced. This flower comes in varied colors like pink, white, yellow and red. It is considered sacred by the followers of Buddhism and Hinduism. 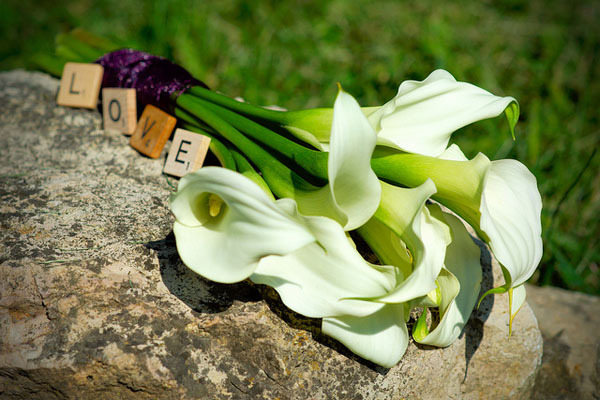 Last on the list is Calla lily, the magnificent flower used extensively in flower arrangements and bouquets. The flowers are native South African. These unique sculptured flowers are found in a number of shades like green, yellow, purple and pink. The plant is toxic and can even kill, so stay cautious while handling this plant. It was difficult trying to narrow down the list to fifteen, but it had to be done. Which one is your favorite flower? Is there any other flower that you think deserves a place in this list? We know it would be difficult for you to pick, but do let us know in the comment section.